Ask a Tokyoite about a place in the city where you can enjoy nature, nostalgia, shopping, dining and entertainment in a sophisticated, futuristic way — all in one place — and they'll answer Odaiba. 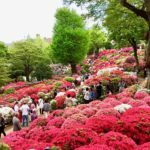 Located in Tokyo Bay, this artificial and ultramodern island is one of the most popular sites among locals and tourists alike for a reason: it has it all. From flamboyant and futuristic-looking architecture to an array of amusement spots, shopping malls and restaurants — this destination in Tokyo even has its own Statue of Liberty. Regardless of what season you’re visiting, Odaiba is the perfect year-round day trip for geeks, budding architects, families and shopaholics alike. Here are some recommended spots for an action-packed day by the water in Odaiba. Odaiba combines old and new in a truly unique way. 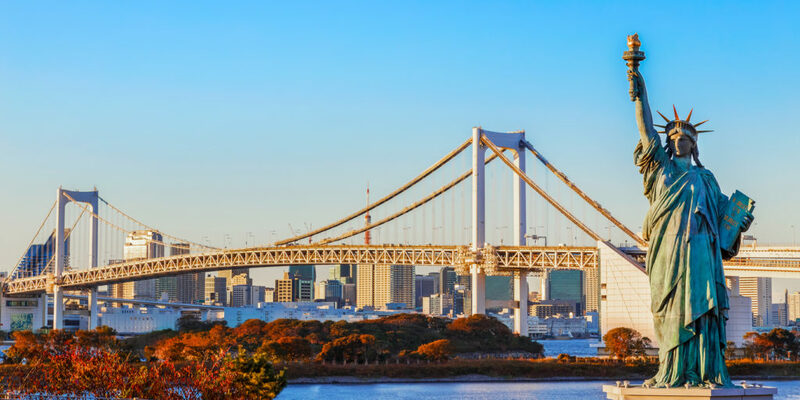 Located on the southernmost point of Tokyo and connected to the city by the Yurikamome monorail from Shimbashi and the Rinkai line from Osaki, Odaiba is a man-made peninsula in Tokyo Bay. The beginning of this modern neighborhood dates back to 1853 when various island fortresses were constructed by the Tokugawa shogunate for protection from hostile ships. The word “daiba“ in Japanese refers to the cannon batteries placed on these islands, one of which was turned into a public park — the Metropolitan Daiba Park — in 1928. During the bubble economy of the ‘80s, however, the Tokyo Metropolitan Government spent ¥1.1 trillion (about US$10 billion) on the redevelopment of Odaiba to showcase its futuristic vision for the area. By the late ‘90s, 1,000 acres of landfill had become home to various leisure, corporate and commercial complexes. Odaiba will be one of the venues for the upcoming 2020 Tokyo Olympics, hosting beach volleyball at Shiokaze Park, triathlon and marathon swimming at Odaiba Marine Park, as well as gymnastics at a yet-to-be constructed sports facility. Miraikan, the National Museum of Emerging Science and Innovation, is a science and entertainment museum. 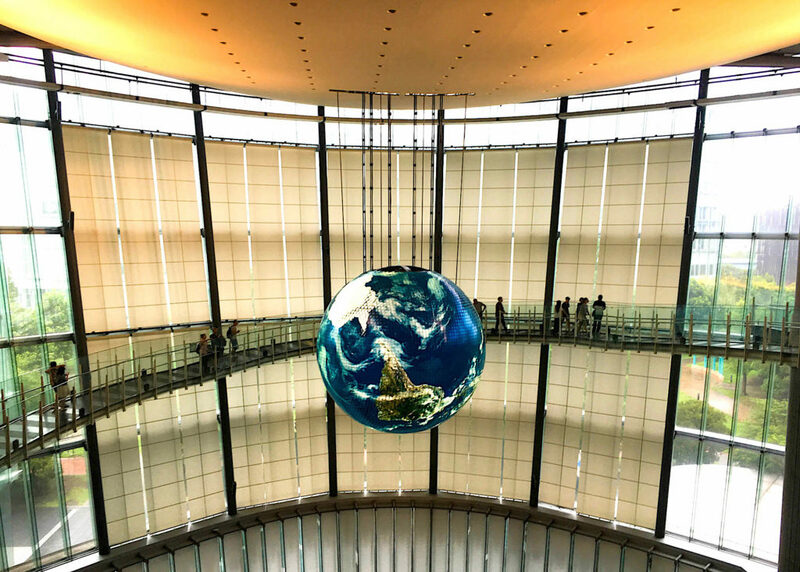 Start your day with a visit to Miraikan, or the National Museum of Emerging Science and Innovation. This place, popular with families, couples and even solo visitors, will impress not just the techies, but even those who have minimal grasp of science (including yours truly). The museum has four different themes: Earth Environment and Frontiers, Innovation and the Future, Information Science and Technology for Society, plus Life and Science. 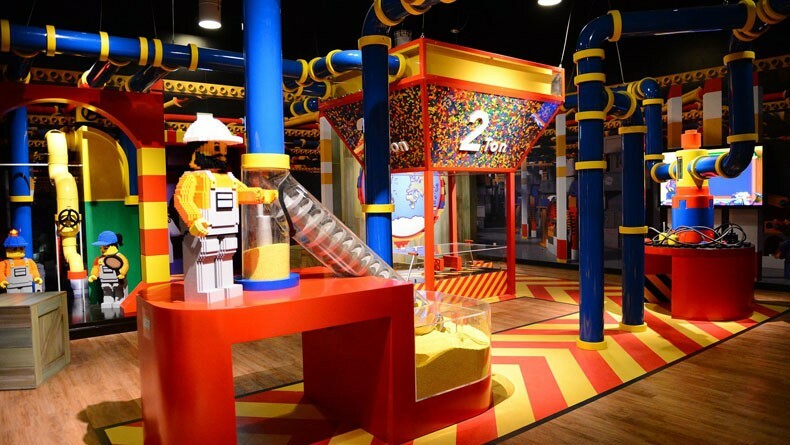 The mind-boggling interactive exhibits at each display will keep you entertained for hours. Make sure to stop by the third floor of the museum to meet the famous robot Asimo, who will talk, dance and even play football for your amusement. You’ll also see an android, which (who?) 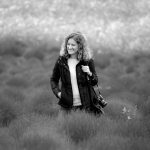 honestly freaked me out – they look so real! The Fuji Television building is another Odaiba landmark. Reminiscent of a spaceship that just landed on earth, this architectural masterpiece houses the headquarters of Fuji TV, one of Japan’s private national television channels. You can watch programs being produced from its fifth-floor studio promenade, take in the views of the bay from the 25th floor or just a few selfies, as most tourists do. 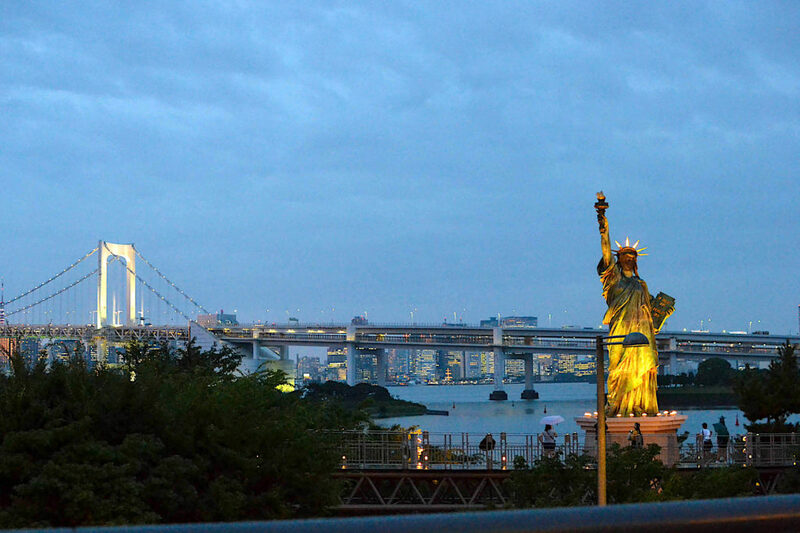 Head to the Odaiba Kaihin Park for a great view of Tokyo Bay, Rainbow Bridge and Japan’s replica of the Statue of Liberty. 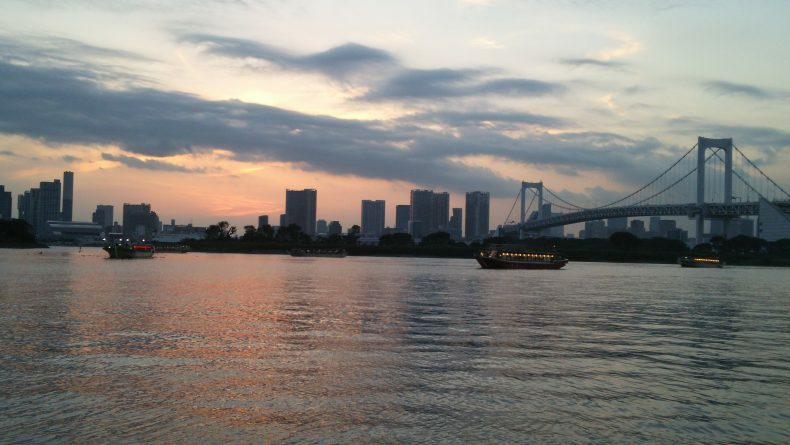 From there, grab a drink and some snacks and head to Odaiba Kaihin Park (Odaiba Marine Park) for a quick break. This artificial sandy beach and its boardwalk are home to a small replica of the Statue of Liberty and provide great views of the Rainbow Bridge, both during the day and at dawn. Swimming is not recommended due to pollution, but the beach itself offers a nice relaxing spot for a short escape from urban Tokyo. Return at night if you’re up for a romantic evening. 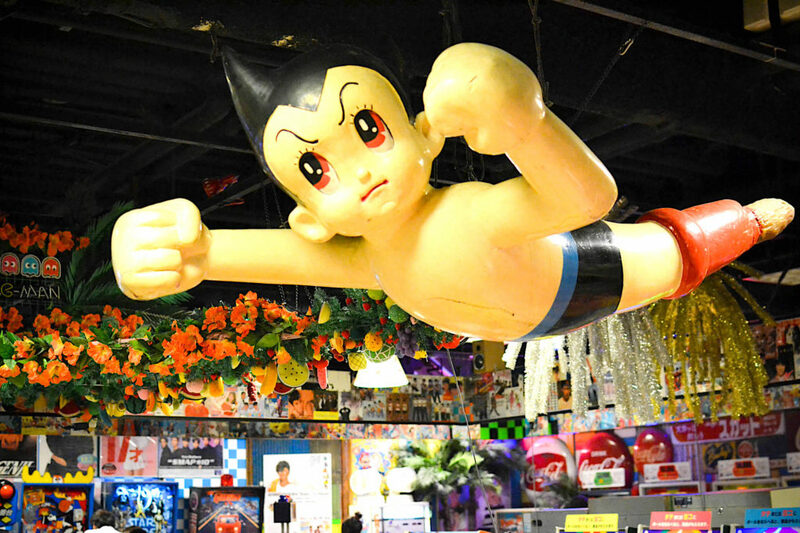 Old Is Gold: Find plenty of retro stores and goods at Decks Odaiba’s Daiba 1-chome alley. Just next to the park you’ll find Decks Tokyo Beach, a large shopping complex, which also hosts some of the best entertainment spots in Odaiba. The Vintage Arcade (Daiba 1-chome Shotengai) on the fourth floor invites you for a travel back in time. The place is stuffed with numerous retro arcade games, small store replicas of Japan’s Showa era, where you can have a glimpse at what was cool and trendy back in the good ol’ days. You’ll find posters of popular artists and singers from post-war Japan as well as tricks and treats and a lot of old-school gadgets. 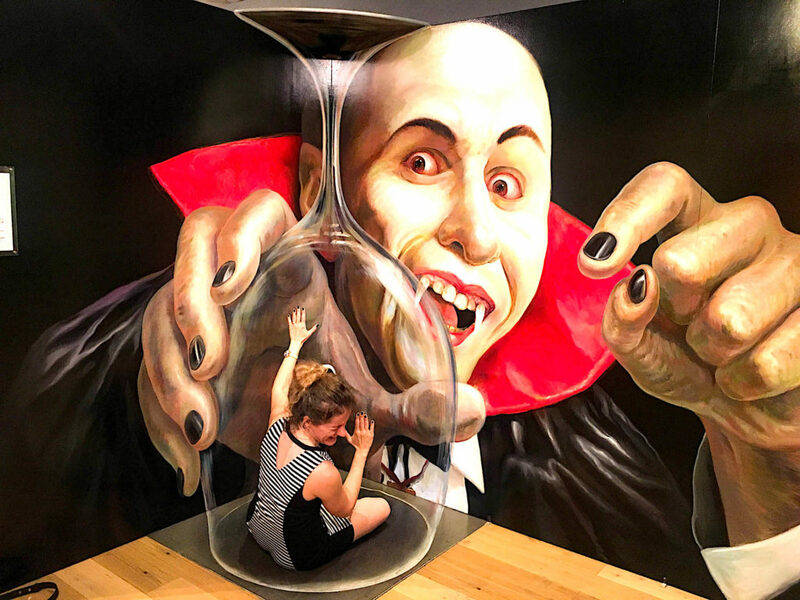 On the same floor you’ll also find the Trick Art Museum, where you can head to for a healthy dose of laughter and photo ops — you’ll have a fantastic time pretending you’re falling into a shark’s jaw, attacked by ghosts or trapped inside a glass. 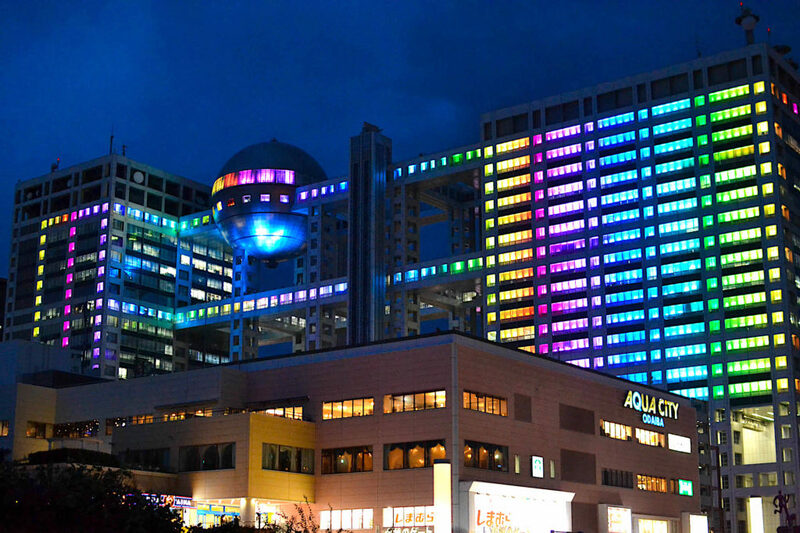 The third floor of this complex also hosts a mini version of Madame Tussauds Wax Museum and Tokyo Joypolis, an indoor amusement park. You’ll have a great time escaping monsters and vampires at Odaiba’s Trick Art Museum. I’d also recommend visiting the Panasonic Center and Sony ExploraScience for insanely cool interactive exhibits and displays of state-of-the-art technology; the Toyota Mega Web (where you can test drive the cars!) and the Oedo Onsen Monogatari, an Edo-era-themed onsen (hot spring). For various international fairs, trade and exhibition shows, head to Tokyo Big Sight — there’s always something going there. Everything is quite compact in Odaiba, so rather than strolling around its small boutiques, you’ll see several large malls that have everything you need. 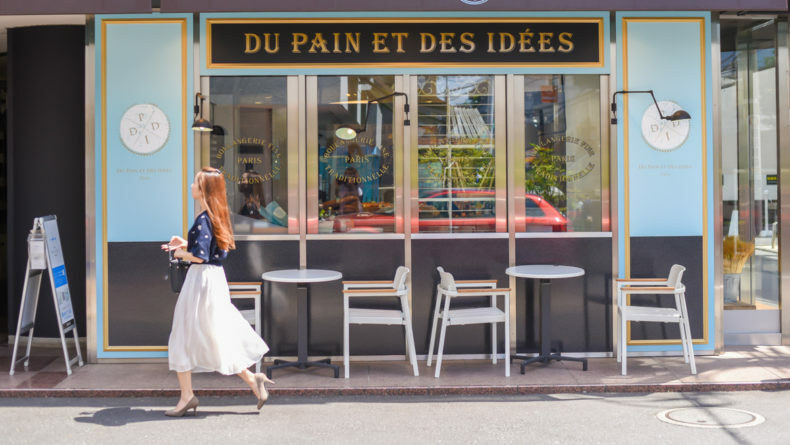 In addition to Decks Tokyo Beach — where you can find everything from fashion to souvenirs to tax-free stores — the nearby Palette Town shopping complex is also a good destination for shopaholics. Further, these malls and amusement centers can’t be missed due to the uncontested Odaiba landmark – the Palette Town Ferris wheel, modeled after the London Eye and serving as a neon beacon every time you drive across the Rainbow Bridge. 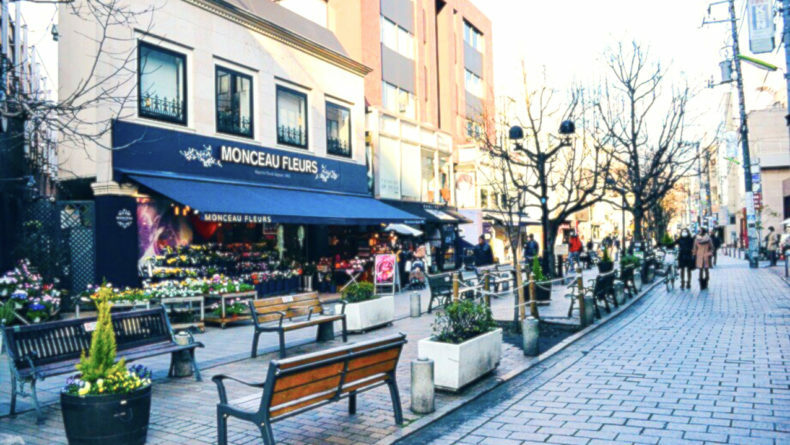 Palette Town also hosts Venus Fort, an elegant shopping complex that resembles beautiful streets from 18th century Europe, including fountains and an artificially made sky for a ceiling. It has an outlet mall, too, where you can find a good selection of discounted brand apparel. DiverCity Tokyo Plaza, just a five-minute walk from Daiba station, is another complex where you can dine, wine and shop until you’re completely exhausted. It’s a nine-storey shopping heaven that also includes a rooftop garden, a bowling alley and a great selection of reasonably priced imported and domestic brands. 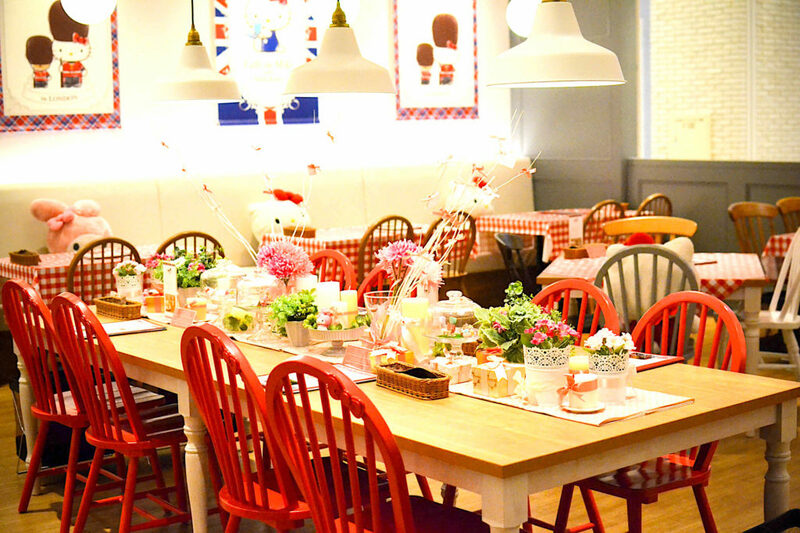 Odaiba is home to Tokyo’s only Hello Kitty-themed cafe, the Café de Miki. There is no shortage of places to eat in Odaiba. 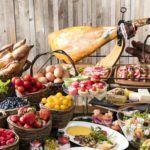 Practically every of the above-mentioned complexes house food courts and restaurants with a wide array of food choices — both local and international. But if you’re looking for something uniquely Japanese, head to Tokyo’s only Hello Kitty-themed café, the Café de Miki on the fourth floor of DiverCity. Needless to say, everything is exceedngly kawaii. I recommend the themed coffee-and-fruit-and-chocolate pancake. Enjoy your treats in the presence of the adorable character herself! Another favorite stop of mine is Bill’s Odaiba. Located right on the waterfront and with ample space on the third floor of the Decks Seaside Mall, it’s hard to find a better place for a quick meal — especially if you’re into pancakes. 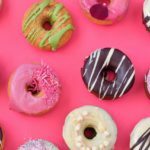 As always, Bill Granger’s menu is filled with scrumptious selections and families with children will be happy to hear that they also have a special menu for kids. If you’re looking for a bit of thrill and fun to go along with your meal, then the pirate-themed restaurant King of the Pirates might be the perfect choice. Appropriately located right on the water on the fifth floor of Aqua City Odaiba, the restaurant is decked out like a pirate ship and packed with props to play with. While the food certainly isn’t Michelin star worthy, you’ll be pleasantly satisfied with dishes like a whole chicken or tomato cream spaghetti with blue crab and the pork rib barbecue. 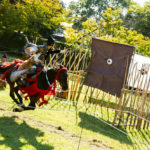 Visitors are encouraged to dress up and get in the spirit of things, so don’t be afraid to embrace your inner pirate. Odaiba is easily accessible from central Tokyo via the Yurikamome or Rinkai lines. All locations mentioned in the article are accessible from Daiba, Tokyo Telecom and Odaiba Kaihin Koen stations.